Grilled bananas are delicious. Make sure that you have a well-oiled grate before putting the banana pieces on. You won't want them to stick, ruining your dessert. By leaving the bananas in the peel, they will hold up better on the grill. Add vanilla ice cream and liquor as a finishing touch. Preheat grill for medium-low heat. Without removing the peel cut each banana in half lengthwise. Sprinkle each half with lemon juice. Combine cinnamon and brown sugar in a bowl. Coat the exposed surface of the bananas in sugar mixture. Place banana halves on an oiled grill grate, peel side up. Allow to cook for 2 to 3 minutes per side. 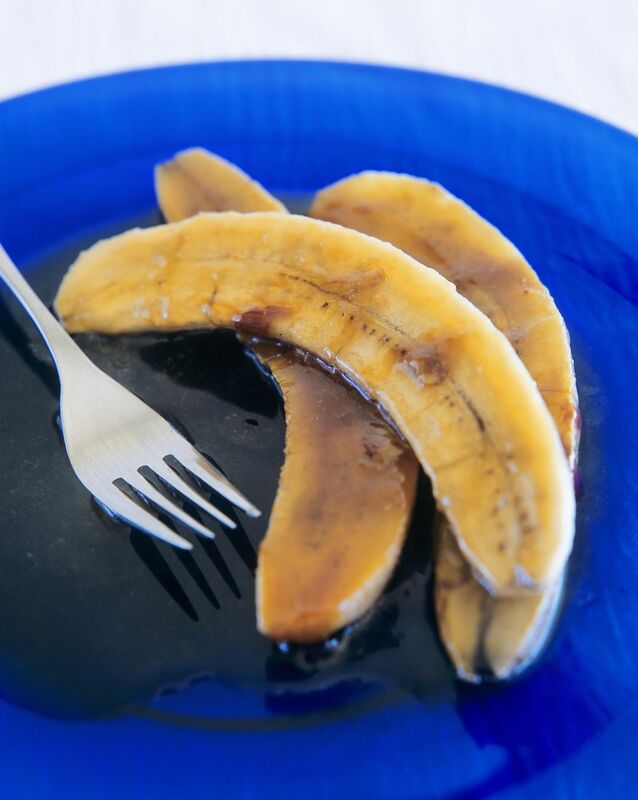 Remove bananas from the grill, then remove from the peel and serve with favorite ice cream and topping. Romaine on the Grill. A wonderful Discovery.